Will Rahman get into Blogging ? Sound interesting right ? In an interview given to TImes of India he stated that he is not sure about blogging. But if at some point, if he starts blogging he will definitely try to bring up issues plaguing the Indian music industry and other issues as well. Rahman seems to have a lot of big shots this year slated to be released. So the expectations of the Rahmaniacs will always be much high as always. 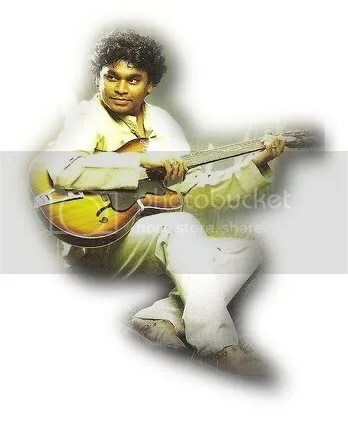 But for Rahman, this inspiration gives him motivation to deliver some good music. From a non-believer to a worshiper; from polytheist to monotheist; from Dileep Kumar to Allah Rakha Rahman, the famous music wizard has come a long way. This journey, he says, has completely changed his outlook toward life. 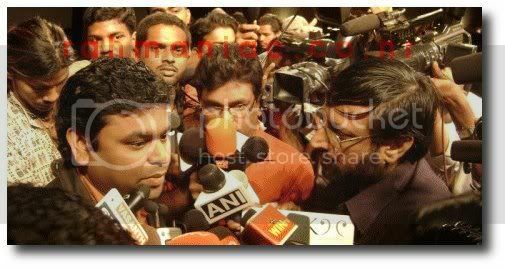 Rahman is well-known in India. He revolutionized Bollywood music, giving it a new direction. 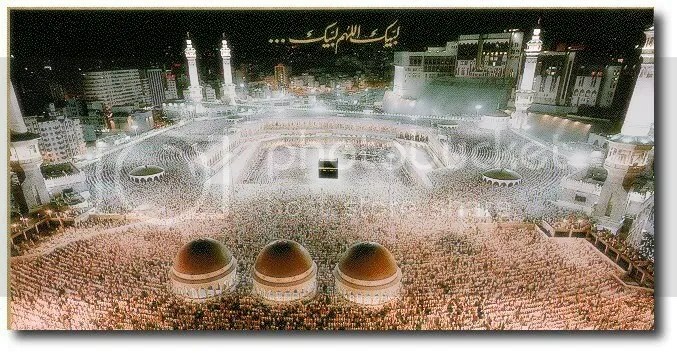 But in Mina, the man was spiritually charged, relaxing in his camp after Isha prayers, remarkably very far from the rhythm of success. With the release of Jaane tu ya Jaane na and Ada, the maestro has come out in flying colors with the songs as well as a brand new finding to the Indian Cinema Music, Rashid Ali. It is strange at times, that Rahman even gets notified about each and single men in his group. After sharing the credits of his success to his fellow musicians like Naveen and Shivamani, Rahman gives an opportunity to his lead guitarist Rashid Ali to sing the foot tapping track of Jaane Tu ya Jaane na and the solo duets of Ada. Rashid Ali is was introduced by A R Rahman during his Third dimension Tour, conducted all over the globe. Rashid Ali is quite senior in A R Rahman troupe and this cool guy is born in Hyderabad. Rahman met him in London and was impressed with his immense talent in playing guitar. As per the info of Siddharth Iyer, an active member of A R R Yahoo group, he did a jazz version of Ooh Lala Laa in the Dubai concert. He has already rendered his vocals to the movie Paarthale Paravasam. A R Rahman is back again with the magic. As the tagline indicates “The musical journey of A R Rahman” continues with ADA. The experiment of Rahman with Rashid Ali. Sonu Nigam, Alka Yagnik, Chithra,Sukhwinder Singh, Udit Narayan makes a come back in Rahman’s team. Sunidhi Chauhan, Viviane Chaix, Chitra, Sukhwinder Singh, Naresh Iyer, Udit Narayan, Parul Mishra & Jayachandran gets a chance in the album as well. 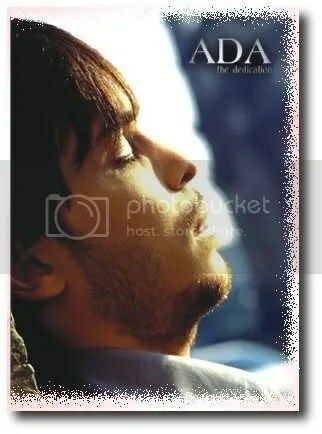 Ada (Male Version) – The maestro makes the title song always a masterpiece. ADA starts off very well. Rashid Ali continues his magic with Rahman. We’ve never heard of him. Maybe a new guy who’s gotten a chance to sing for the great maestro. Rashid does a great job and will be in Rahman’s favorites for long. The song after seems to be a slow poison that I will have to get use to and I know I will like it once I do get used to it. The chorus seems to be catchy. There are compositions that Rahman makes will you will instantly fall in love with, then there many which you will have to get used to. But once you do then you realize how great his work is. Hawa Sun Hawa – Alka Yagnik makes a come back to the team and seems to be a great return with this song. She doesn’t sound stale like she has in past few songs. Alka seems to be fresh and very young. This one is a lovely, soft, feel-good song that I can really relate to. Watch out for the flutes in the middlle, amazing work by A R Rahman. The song backed up by a strong lyrics. Just close your eyes and get swept away by this great composition. Would it be Qayamat Se Qayamat Tak once again with the arrival of Jaane Tu… Ya Jaane Naa? This is the first feeling one got the moment the first look of this Aamir Khan production was out. Marking the launch pad of his nephew, Imraan Khan, Jaane Tu…Ya Jaane Naa seems to be another innocent love story in the offering sans any unnecessary mush, hence going truly with contemporary times. With pretty girl Genelia D’Souza opposite Imraan in this campus flick and A.R. Rahman as the composer, this Abbas Tyrewala debut directorial venture (he also doubles up as a lyricist here), JTYJN, is a promising flick arriving this summer. Does the music hold up to the promise? The answer is – Yes! First things first – when the best of the best of 2008 would be written down, the number ‘Kabhi Kabhi Aditi Zindagi’ would definitely find a mention. Crooned by newcomer Rashid Ali who is being introduced by Rahman on Bollywood musical arena, the song is beautiful from the word GO, the moment guitar strings mark the song’s beginning. Rashid’s voice is just perfect for an actor who is being launched in a youthful romantic entertainer and the singer utilizes the big platform to the fullest. While Abbas’ lyrics go truly with contemporary times, it is a nice change to hear a Rahman composition in a truly mainstream cinema rather than the historical/period/issue based films for which he has been creating music for quite some time now. This year IIFA (International Indian Film Academy) has recognised A.R. Rahman as the ‘Outstanding Indian contributing to International Cinema’. Rahman is credited with increasing Indian film music’s popularity all over the world by his music compositions. He has been recognized as the ambassador of Indian music. The award bestowed upon A.R. 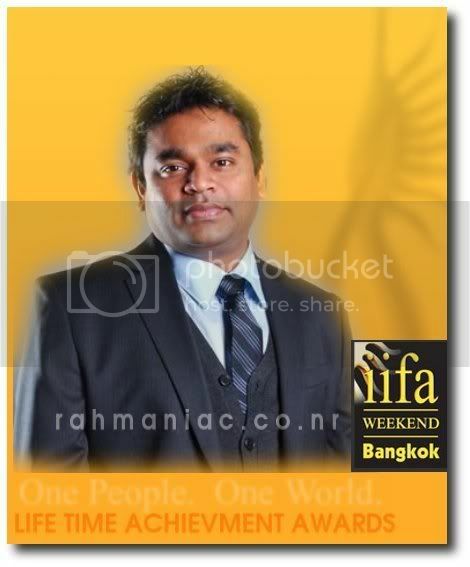 Rahman is one among the three special recognitions of IIFA, the other two being ‘Outstanding contribution to Indian Cinema’ and ‘Achievment in Indian Cinema’. The other two have been won by eminent director Shyam Benegal and Mumtaz respectively. Shyam Benegal is considered as one of the best filmmakers of India. He marked his debut with Ankur, the impact of which can be felt even today. Shyam Benegal has a very simple but unique style. At the moment, the director is busy storyboarding for his film on Buddha. He is also working on a comedy subject which has received a lot of attention and is on the verge of completion. It is about a postman of a small village full of illiterate people, who becomes the confidant of everyone by reading them their letters. Ace choreographer Ahmed Khan is amidst a flurry of activity at the moment. Besides producing his next film, Paathshaala starring Shahid Kapoor and Ayesha Takia, he’s also part of MTV’s i.Superstar, where he’s training die hard fans to perform like their favourite screen idols. Ahmed recreated the title song of Welcome and seems to have enjoyed the experience. “It felt kind of weird doing the same thing with two different people,” he says.